Having gained popularity amongst the younger generation, dating sites such as Zoosk, have reported a substantial boom in their number of mature users, with the over-50s bracket now the fastest growing sector in the online dating world. Online dating is fast becoming the preferred method for finding long-term relationships, and is transforming the world of dating for seniors. Perhaps the strongest reason to try online dating for seniors is its popularity amongst other like-minded singles. Around 40 million Americans – roughly 40 percent of all US singles – are using online dating services. The success rate of internet dating has made it more likely that you will meet your partner online than through work or at a bar. Signing up to a dating site makes the first step of any relationship, the actual search for someone to hook up with, far quicker and easier than it has ever been before. The sheer number of people using online dating services has resulted in hundreds of dating websites to choose from, which can seem quite daunting. The safest options are the larger, more established sites that are well reviewed and highly ranked amongst users. Unsurprisingly, match.com, the biggest and most popular online dating site, also happens to boast the largest senior user base of any online dating service – which could make it a good place to begin your search. Many older singles find it hard to meet prospective partners as there is often no obvious dating scene for their age group. In the world of online dating, however, age can often be an advantage as it helps you create a ready-made pool of matches who are all within your desired age bracket – and neatly lined up for you to look at without you needing to leave the house. 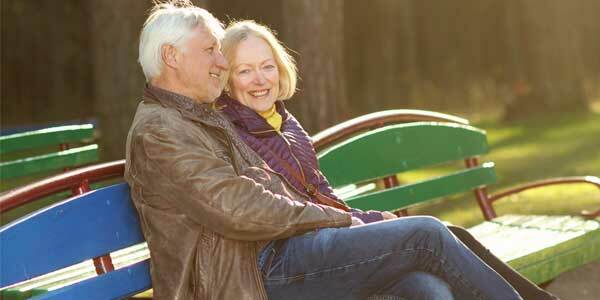 If a ready-made pool of potential partners is important to you, there are a number of well-established and reputable dating sites that cater solely to senior singles. The largest international dating site for mature singles is SeniorPeopleMeet.com, a site which boasts close to one million singles joining its membership each year. In many cases, internet dating services for the senior community are specifically designed to be simple and easy to use, without any complicated “frills” or clutter – so those who are shy of technology should be able to navigate the system without problems. Once you get started in the world of online dating, you may find yourself pleasantly surprised by the experience. Remember, internet dating puts you under no obligation towards anyone. You can take as much time as you need to get to know someone before deciding to meet, and there is no guilt or awkwardness if you don’t end up liking someone you chatted with online. Are you a mature single looking for a lasting relationship? Start your search online with sites that cater specifically to the senior scene.